Leg pain is a relatively common condition and statistics indicate that 7-10% of the people suffer from this potentially disconcerting condition at any point of time. Thus it is evident that leg problems like leg pain are here to stay. There are numerous causes and trigger factors which can cause or aggravate leg pain and the more common ones may well include cramps and even muscle tears. Some of the most commonly encountered leg pain causes may include dehydration and muscle fatigue. While dehydration is self-explanatory, understanding muscle fatigue as a cause of leg pain may need elaborating. Muscle fatigue or strain as it is often known is usually an outcome of overuse, extended exercise regimes or even holding the muscle groups in a particular position for long periods of time. This is yet another relatively common cause for leg pain and may well include overstretching and tearing of the muscle fibres due to overuse or unusual leg positions. On the contrary there are instances where overuse may lead to localised tenderness and leg pain in the front of the lower leg or shin. The condition is more familiarly known as shin splints. Some associated causes of leg pain like deep vein thrombosis could occur due to prolonged bed rest can lead to leg pain. Concurrently some common conditions which may also lead to excruciating episodes of leg pain may include inflammation of the joints of the lower leg such as Gout and Arthritis. The cure will invariably depend on the cause. To illustrate the case in point when the cause is overuse then rest helps alleviate pain and tenderness. Concurrently local application of ice for duration of 15 minutes four times a day has been known to return some very encouraging results when the context is relief from leg pain. Elevation of the foot and gentle stretching can help control symptoms in most instances. 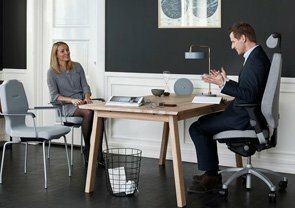 The science of fitting the equipment to the user is best defined as ergonomics and considering that we sit more often than we stand it is imperative that the right chair is used at all times. When the context is leg and hip pain it is imperative that an ergonomically designed chair with adjustable height is used. The is invariably based on the concept that while in a sitting position the back must be straight and it should form a 90 degree angle with the hip. Concurrently the upper leg should form a 90 degrees angle with the lower leg at the knee joint. 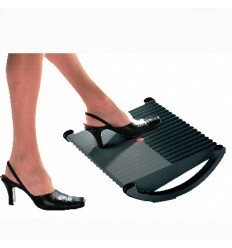 The feet should be resting firmly on the floor or an ergonomically designed foot rest. This is evidently best achieved by adjusting the back of the chair and the height of the seat. To illustrate the case in point if you are short then keeping the seat adjusted low and hence closer to floor level is important. On the contrary those who are taller would invariably need to ensure that the seat is adjusted at an appropriately higher level for leg and hip pain relief. Leg pain can be a result of pressure points restricting blood circulation around the leg causing venous congestion. Ensuring the seat is the correct depth that it supports enough of the leg not to cause pressure issues but there is also a gap of two to three fingers underneath the knee not to restrict circulation. Special seats can be custom built to ensure the correct support for the leg and designed not to restrict blood circulation. 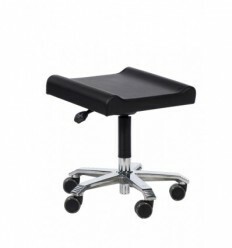 If the user requires a leg rest, it is important that the leg rest can be adjusted to the height that best supports the user. 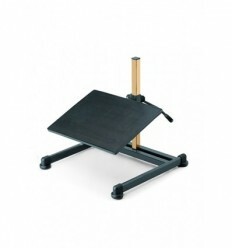 The leg rest should be ergonomically designed to give a constant, comfortable support. 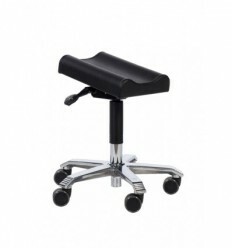 Both single and double leg rests are available depending on the needs of the specific condition.